One of the BillerudKorsnäs packaging redesign projects replaced the plastic casing around camping gear with cardboard. Designers at BillerudKorsnäs use a shaking machine to mimic the bumps on a delivery truck. It's one of several tests that tell them whether their paper packaging is strong enough to replace plastic. These cardboard cutouts are designed to replace the plastic foam end caps companies use to ship laptop computers. BillerudKorsnäs has designed their own version of a Tic Tac box, with a paper spring-loaded door that releases candy. When it's done, he folds the resulting cut-out into a three-dimensional shape that's designed to replace the plastic foam end caps companies use to ship laptop computers. Gaither says inventions like this are helping the company build a growing customer list. "I think now people are more concerned about the impact plastics are having on the environment," he says. "Paper packaging is a much more renewable resource. It biodegrades." The growing number of campaigns to ban plastic waste are putting pressure on companies to find alternatives – not just for straws, but for all kinds of plastic packaging. So BillerudKorsnäs tests out products they hope to sell in the budding market for plastic replacements. 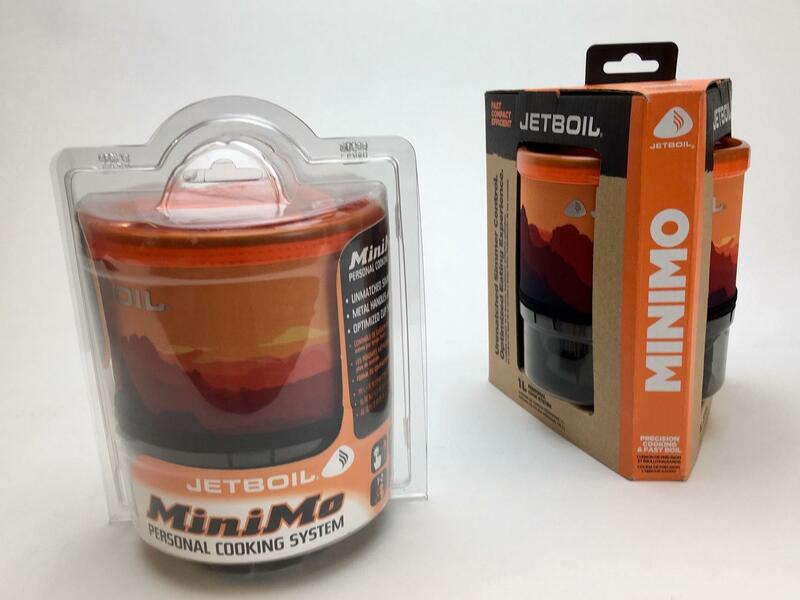 Some of their customers now use cardboard instead of clear plastic packaging for camping gear, and paper bags instead of plastic ones for food like pasta. The lab is even working on a paper soda bottle, which Tor Lundqvist, head of the company's Americas division, calls a "fly to the moon kind of thing." BillerudKorsnäs is primarily a paper company that prides itself on its sustainably managed forests. It also has a process — the details of which it won't divulge — that it says produces super strong paper. "We can use these products in solutions where they can actually push out plastic for plastic bags, for instance, or plastic trays," Lundqvist says. And any time you replace plastic with paper, he says, it does more than reduce plastic pollution. It also helps climate change since plastic is made from fossil fuels. But making a beverage bottle out of paper may be the company's biggest challenge so far. "Our CEO wanted us to do something really difficult with our raw material that people thought was not possible to do," says Lundqvist. "It's going very well. 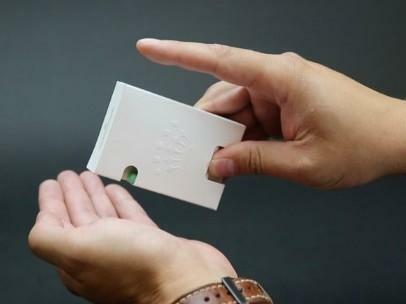 It looks like we are going to have a product on the market in the near future." Conrad MacKerron isn't convinced. He's with the non-profit As You Sow, which teams up with investors to push big manufacturers to change their plastic packaging. He's heard about the BillerudKorsnas paper bottle project, but he doubts a leak-proof bottle can be made purely out of paper. Even paper cups, he says, generally include plastic to keep the liquid from leaking. "We think of them as recyclable," he says, "but because of the thin plastic lining a lot of paper mills cannot process them. So they reject the cups, and they go to landfills." Still, MacKerron is heartened to see many big companies finally take this problem seriously. "I think most companies were hoping this concern about plastic pollution would blow over," he says. "That tune has changed because people are so appalled and offended at how bits of plastic are now just everywhere." 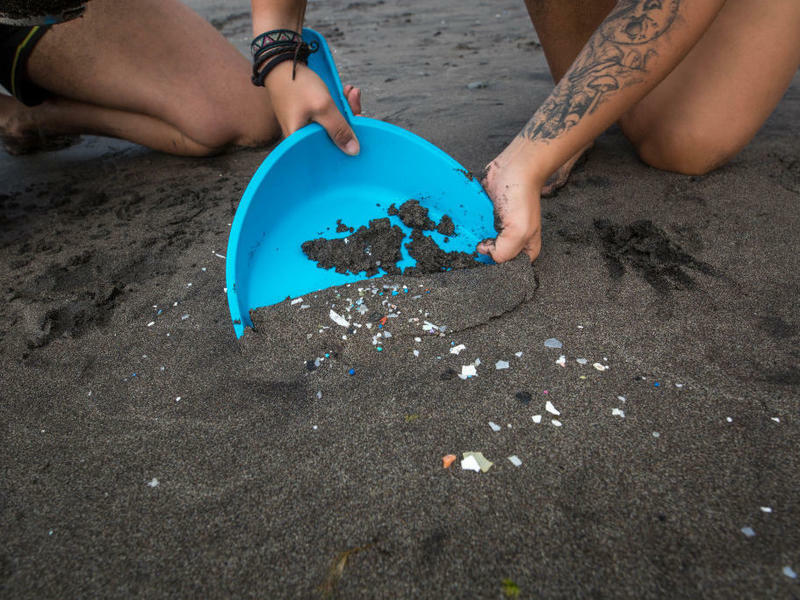 Scientists say the world is dumping 8 million tons of plastic into the oceans every year, and it never really goes away. It's choking fish, filling the bellies of seabirds and turtles, and even showing up in our drinking water. "I think the sense that it's become pervasive is what can turn the tide, and come up with perhaps radical solutions that were not thinkable three, four, five years ago," MacKerron says. In the past few years, BillerudKorsnäs has seen 25 percent revenue growth year after year. Future success may depend on how its products perform. 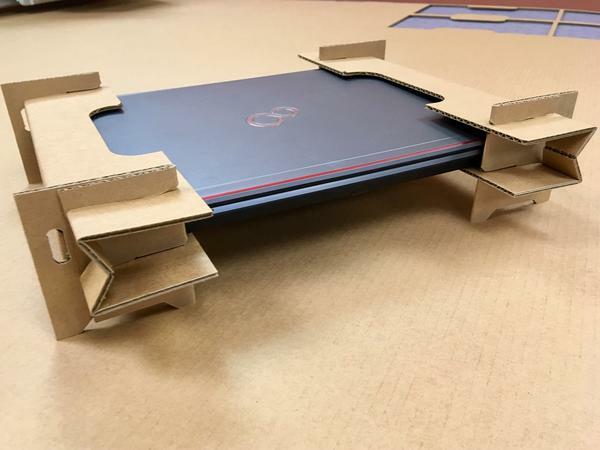 At the company's lab in Portland, designers slide a laptop with their paper end caps into a box. They're testing to see if the paper can match the protective power of plastic. First, a mechanical arm drops the laptop 3 feet. Then, a shaking machine mimics the bumps on a delivery truck. Finally, another machine squeezes it between two metal arms. After all that, there are no dents in the box and no damage to the laptop. That could one day mean more customers for the company, and more laptops getting packaged and shipped plastic-free. Plastic pollution is a big problem. And there are a growing number of campaigns to ban plastic waste. That's putting pressure on companies not just over straws but all kinds of plastic that's used in packaging. So there's now a budding market for alternatives. Cassandra Profita of Oregon Public Broadcasting and NPR's energy and environment team takes us to a lab that's creating some of them. CASSANDRA PROFITA, BYLINE: Packaging designer Ryan Gaither believes in the power of cardboard. He's laid down a massive sheet of it - as big as a king-size bed - at the Swedish-owned BillerudKorsnas design lab in Portland. He flips the switch on a machine that zips around the cardboard like a robotic X-Acto knife. RYAN GAITHER: Basically, anything that we create - any design that we're looking to test out or validate we cut out with this machine. PROFITA: When it's done, he folds the resulting cut-out into a three-dimensional shape. It's a replacement for the plastic foam end caps companies used to ship laptop computers. Gaither says inventions like this are helping the company build a growing customer list. GAITHER: I think now people are more concerned about the impact that plastic's having on the environment. Paper packaging is a much more renewable resource. It biodegrades. PROFITA: Their customers are now using cardboard in place of clear plastic packaging for camping gear. They're using paper bags instead of plastic ones for food like pasta. The company is even developing a paper soda bottle. TOR LUNDQVIST: The paper bottle initiative, that's very interesting. It's the fly to the moon kind of thing. PROFITA: Tor Lundqvist is the head of the Americas division of BillerudKorsnas, which is primarily a paper company that prides itself on sustainably managed forests. It also has a secret process for making super strong paper. LUNDQVIST: So we can use these products in solutions where they can actually push out plastic for plastic bags, for instance, or plastic trays. PROFITA: And Lundqvist says any time you replace plastic with paper, it does more than reduce plastic pollution. It also helps climate change because plastic is made from fossil fuels. CONRAD MACKERRON: I think, you know, the devil's in the details. PROFITA: Conrad MacKerron works for As You Sow, a nonprofit that's teaming up with investors to push big manufacturers to change their plastic packaging. He's heard about the BillerudKorsnas paper bottle project. And he says he doubts a leakproof bottle can be made purely out of paper. A lot of paper products aren't as sustainable as they look. MACKERRON: Paper cups, in general, we think of them as recyclable. But because of the thin, plastic lining, a lot of paper mills cannot process them. So they reject the cups, and they go to landfills. PROFITA: But MacKerron says a lot of big companies are finally taking this problem seriously. 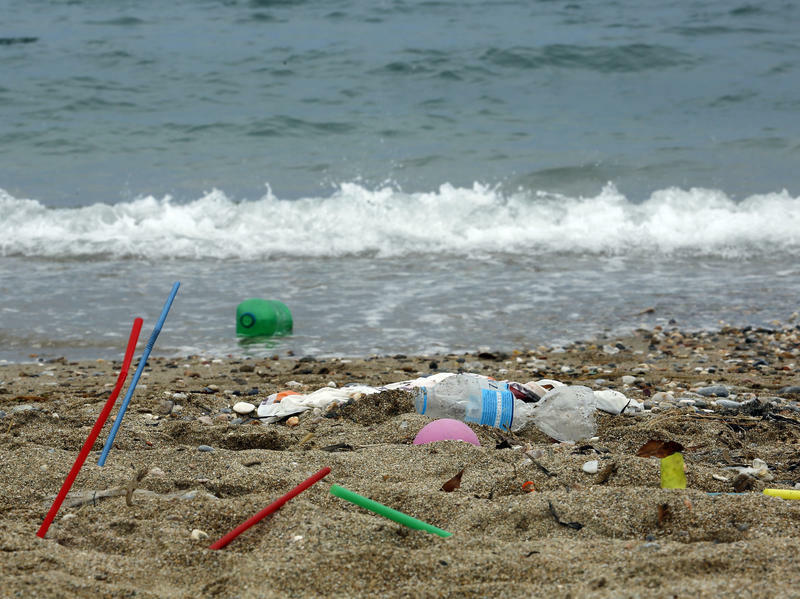 Scientists say the world is dumping eight million tons of plastic into the oceans every year. And it never goes away. It's choking fish and filling the bellies of seabirds and turtles. It's even showing up in our drinking water. MACKERRON: And I think the sense that it's become pervasive is what can change the tide and come up with, perhaps, radical new solutions that were not thinkable three, four, five years ago. PROFITA: Meanwhile, Swedish paper company BillerudKorsnas is seeing 25 percent revenue growth year after year. 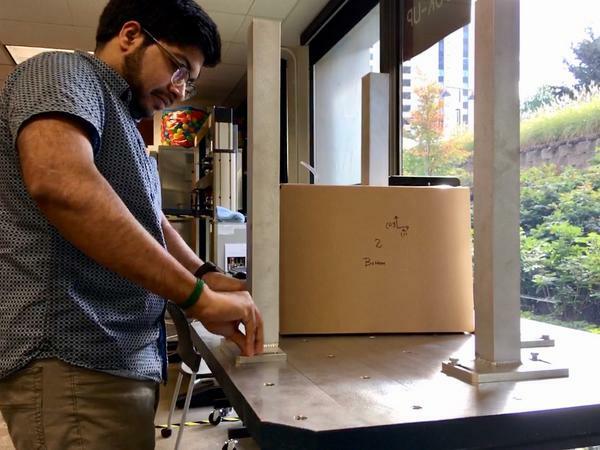 Back at the company's lab in Portland, designers slide the laptop with the paper end caps into a box and test it to see if the paper can match the protective power of plastic. A mechanical arm drops it three feet. PROFITA: Another machine shakes it around to mimic the bumps on a delivery truck. PROFITA: No dents and nothing broken - that could mean more customers will one day ship their laptops in plastic-free packaging. For NPR News, I'm Cassandra Profita in Portland. Transcript provided by NPR, Copyright NPR.